Police Boots | Security| Swat. Usually new officers buy the Lowa, Original Swat or Magnum range of boots. Magnum do a range of police boots from under £50 to £180 and the new Magnum light weight patrol boot which has been in use for the past few years. On the budget end our light weight patrol boots, stealth and Ambush are selling very well. 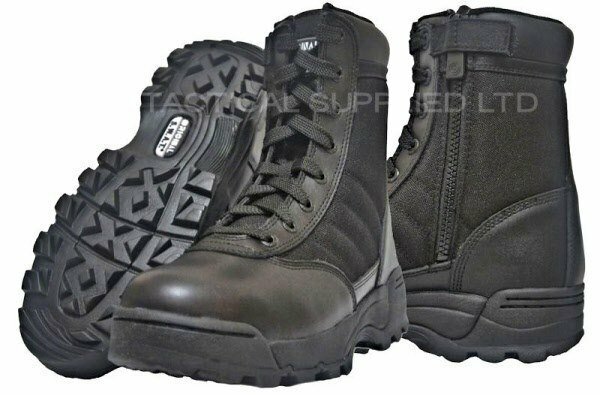 These are waterproof and breathable super light boots.We provide a large range of UK police footwear that is suitable for the police force to use. Our full range of boots are of the highest quality and will not fail you when most needed. We have hand-picked our products to offer only the best boots. It can be a daunting task to buy footwear from a company on-line so what do you consider when buying police boots. First how much do you want to pay. Do you want a cheaper boot and replace them every year or so or do you go for something like a Top of the range which will of course last a lot longer. If you go for more expensive option, then you would expect to get much longer use and comfort as opposed to a budget boot. Budget Police Boots must still conform to British standards and be fit for purpose which is why when buying UK Police Boots from us you do so in the knowledge that you are buying Footwear from a company who have them made to the correct standards. Consider are you on your feet all day. Lowa mountain black Gore-Tex is a lightweight boot in one of the all time best sellers along with the combat.The combat has a higher leg support.The Lowa Combat is the product of years of research. Lowa is a great boot for every day duties.The most popular of the top of the range police boots are the Lowa boots come in half sizes and have been very popular because they do not need any breaking in time. If you require a police patrol boot that offers superb comfort for walking and driving, then the Lowa mid weight police boot is a great option to consider. The security force are generally looking for a lightweight police boot which makes the Lowa range of footwear so desirable. 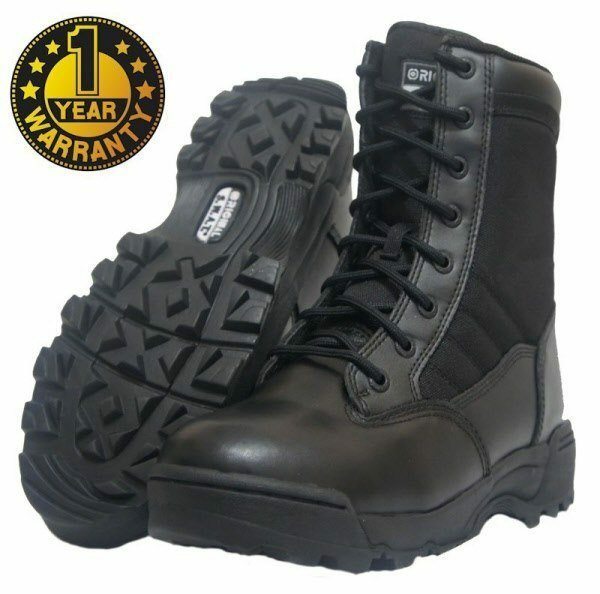 If you are in the security business then we highly suggest the UK Lowa boots range. 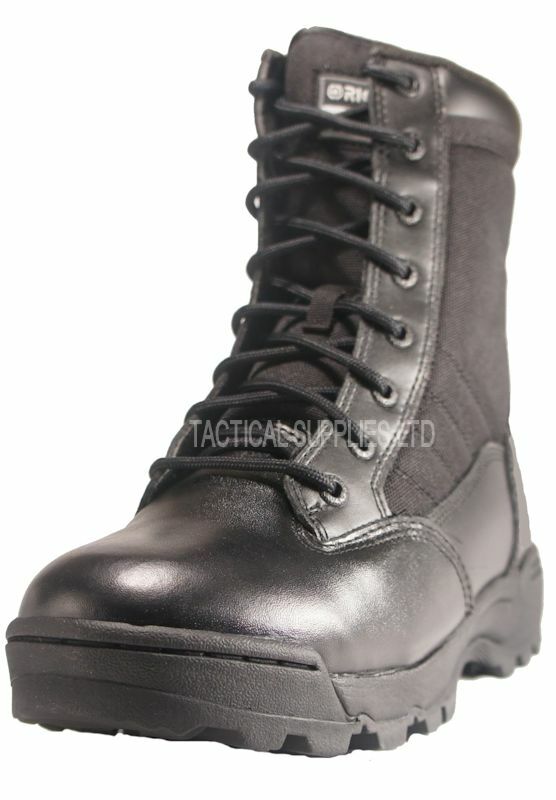 A highly recommended police patrol boot is the Magnum Panther with side zip. Magnum patrol boots are extremely popular within the British army and offer maximum comfort while providing the highest durability. The side zip feature of the Magnum Panther police boot is a valuable feature to have as it allows the boot to be put on very fast if a quick reaction occurs, which saves valuable time to get you to the emergency fast.The Mangnum panther side zip is at a new bargain price. 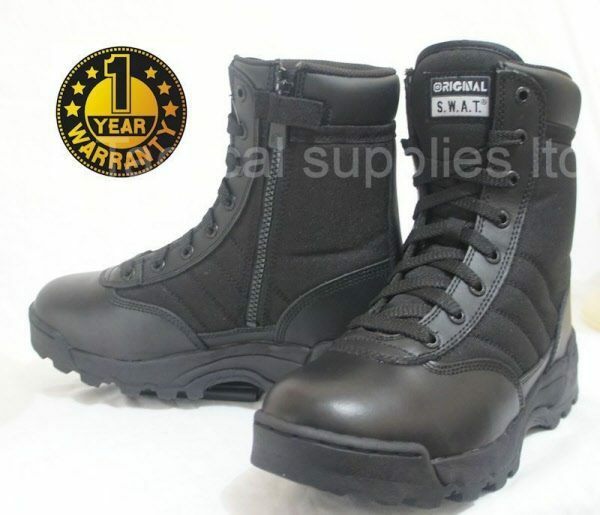 Swat tactical range of boots are one of the best selling range to Police forces in the U.S.A. so if you are interested in Police Boots then check our range of Swat boots today.These are some of most comfortable boots on sale. We are registered dealer for the swat boots. At the cheaper end of the UK police boots you have the boots under £50. These are tremendous value for money boots and some are fully waterproof and breathable. Just because they are not over £60 to £150 does not mean that the boots are not up to the job but they cannot be compared to the more expensive brands. All of our non-branded footwear are made using the best materials. 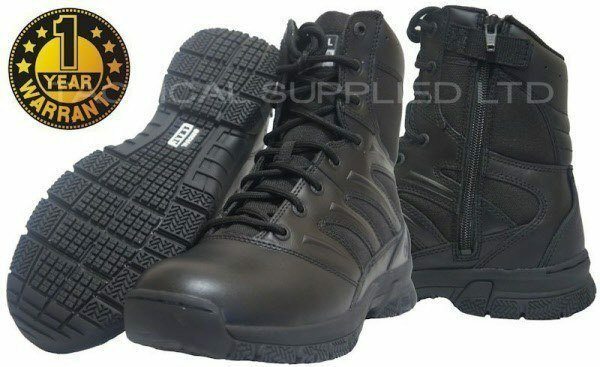 We provide a large range of footwear that is suitable for the officer on the beat to use. Our full range of boots are of the highest quality and will not fail you when most needed. We have hand-picked our products to offer only the best boots, our whole selection is all suitable for police use however each boot offers different performance and use. 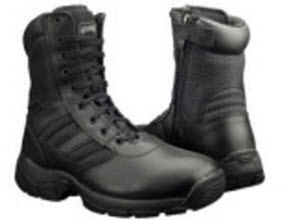 We provide a large range footwear that is suitable for the police force to use.